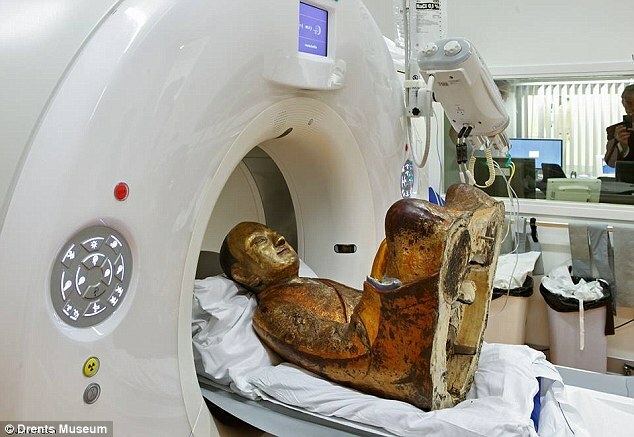 Mummified remains of a monk have been found encased in a Buddha statue dating back to the 11th or 12th Century. Erik Bruijn, an Buddhism expert, led the study that determined the mummy was of Buddhist master Liuquan, who belonged to the Chinese Meditation School. 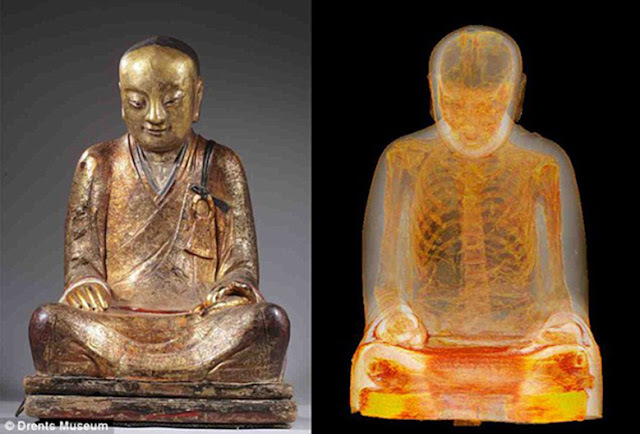 While it was known before the scan that a mummy was inside the statue, it wasn't until then that researchers discovered that the monk's organs had been removed from his body, according to Colossal. Rolls of paper scraps covered in Chinese writing were discovered alongside the monk. 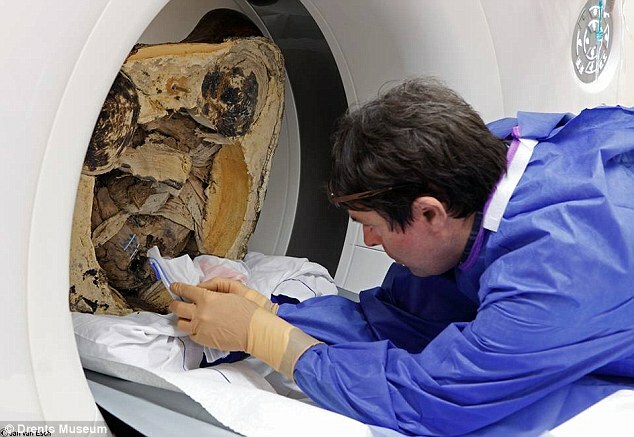 After the scan, the mummy was taken to Budapest, where it will be on display at the Hungarian Natural History Museum until May 2015. Many practicing Buddhists believe that mummies like that of Buddhist master Liuquan aren't actually dead, but are rather in an advanced state of meditation, according to International Business Times. In January, mummified remains of a man apparently meditating in the lotus position were unearthed in Mongolia. 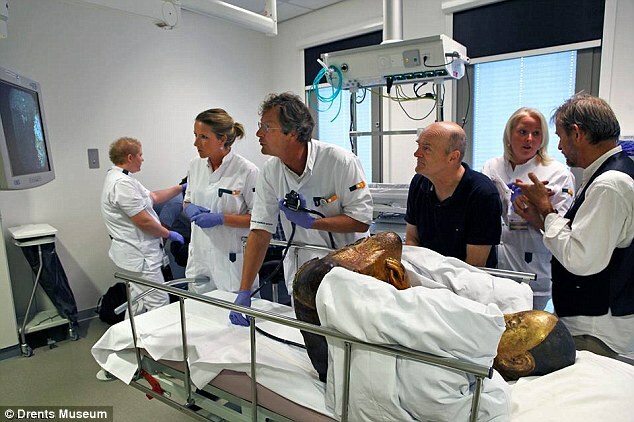 The human relic is believed to be around 200 years old and was preserved in animal skin. Initial speculation is that the mummy could be a teacher of Lama Dashi-Dorzho Itigilov.